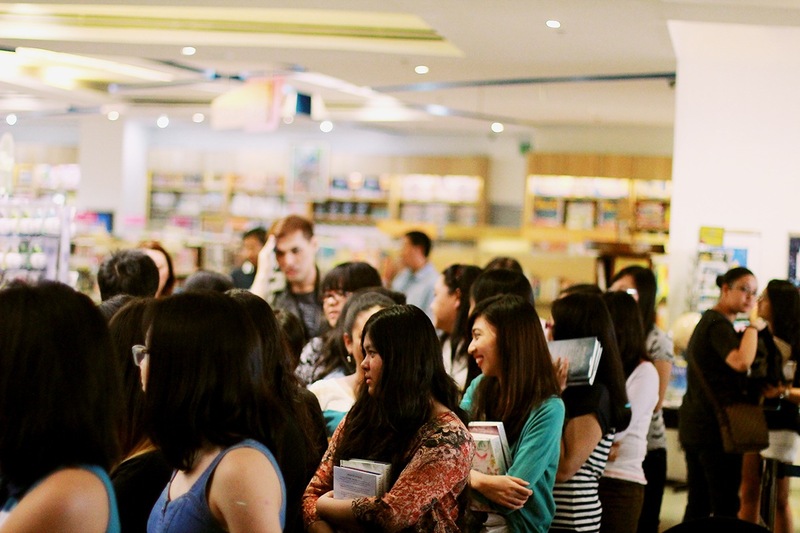 First of all, this event would not have been possible without National Book Store, who just keeps granting Filipino bookworms’ wishes by providing us with such fantastic book signings. Thank you, truly, National Book Store! 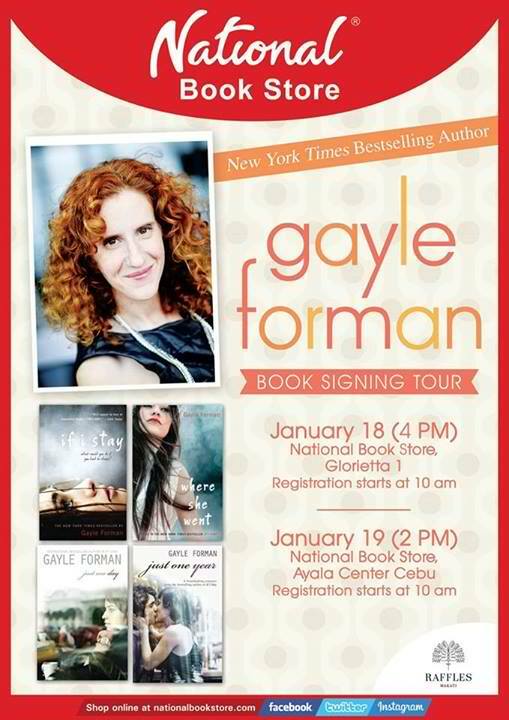 Yesterday, January 18th 2014, Gayle Forman was set to do a book signing event in Manila, specifically in National Book Store Glorietta. 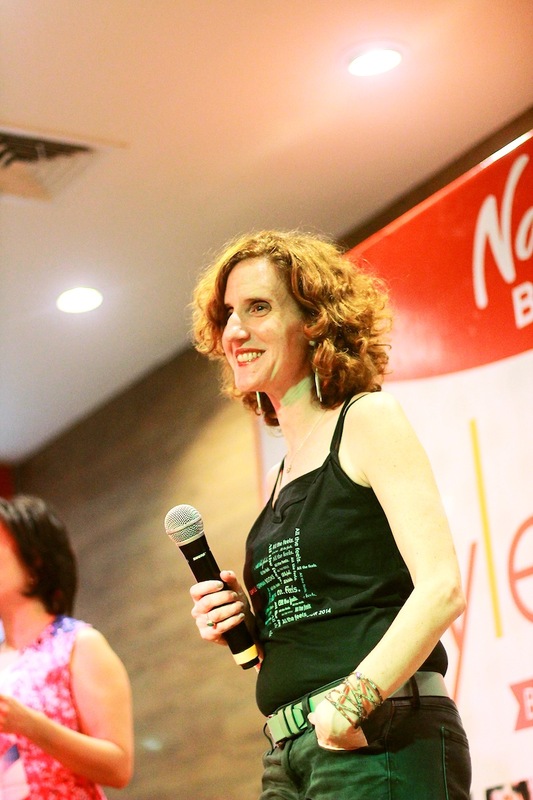 While registration time was 10 am, very eager Gayle Forman fans, including myself, lined up for queue an hour before. We are enthusiastic like that, thank you very much. Registration was crazy! Roughly about 500 fans came to see Gayle! 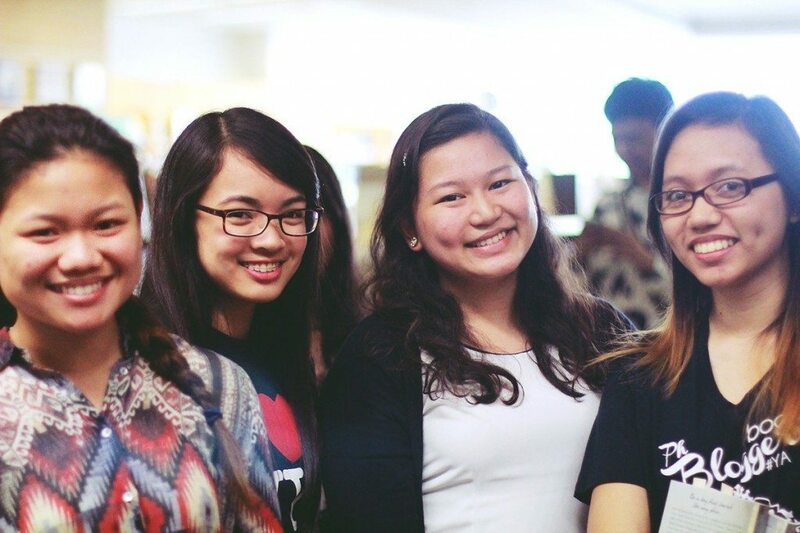 After registering for the public signing, most of us Filipino book bloggers headed to Powerbooks for the Bloggers Forum with Gayle. I was lucky enough to have been a part of it. So grateful to Kazhy for inviting me along! Gayle is not a musician but is often mistaken as one. She is however a huge music fan. Her husband Nick was a musician and was a slight inspiration for Adam. 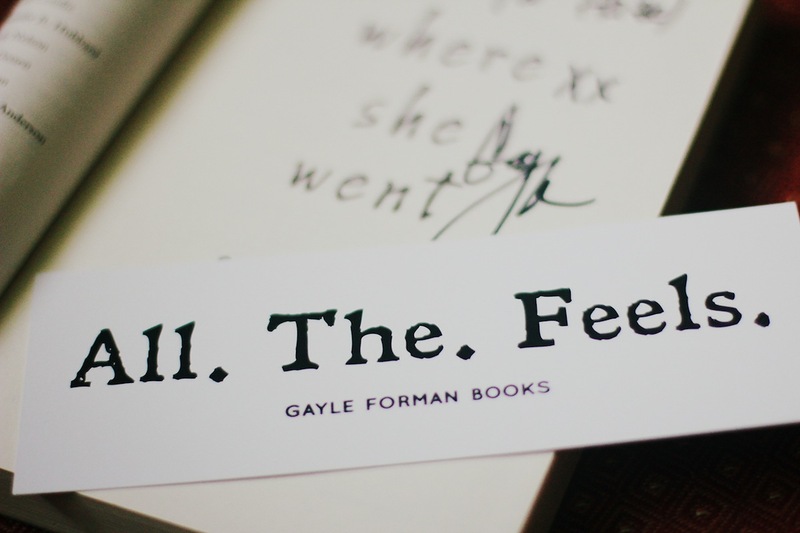 I Was Here, Gayle’s next book coming out Winter 2015, deals with suicide and depression. My own question for Gayle was this: If you were to pick a favorite from any of Adam’s songs, which one would it be and why? And then she asked us if we wanted to take care of Adam and volunteer for the job (yeses all around) and said “Team Adam all the way.” <3 Love this sweet sweet author. Another fun thing about Gayle, she kept singing ‘Do you want to build a snowman?’ (yes, that song from Frozen) and it was way too cute. 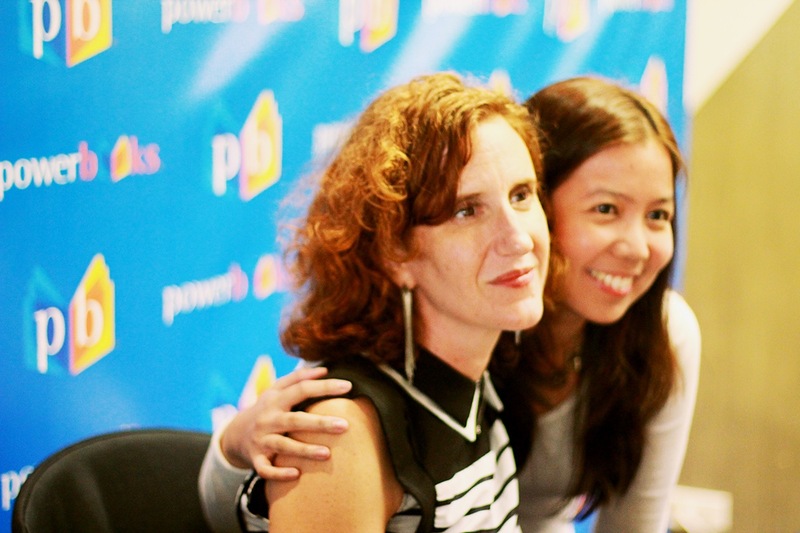 After the round of Q&As, we were able to take pictures with Gayle and get her to sign our books. 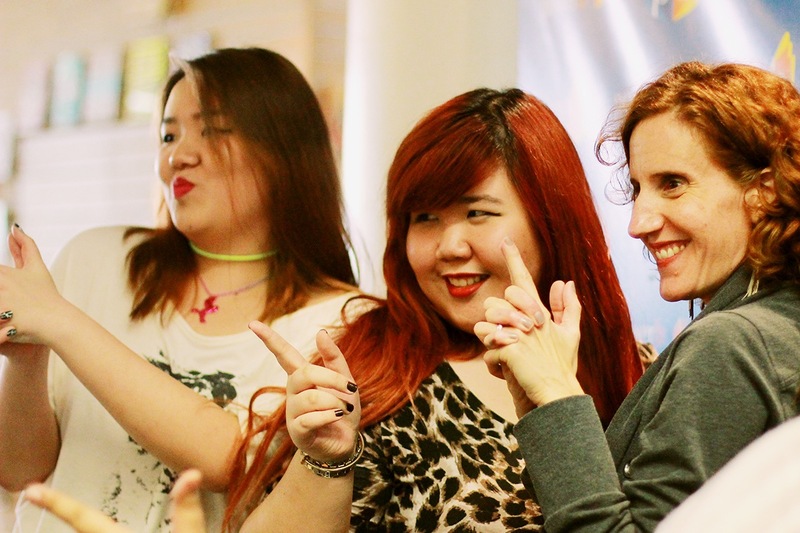 Gayle also encouraged all of us to make silly faces and poses with her. After the forum, we headed back to NBS Glorietta for the signing. The area was crazy crowded but the buzzing anticipation was marvelous! Then Gayle came in with her rockstar entrance and the crowd went Wilde– I mean wild- laughing and clapping and just totally happy that Gayle was there. 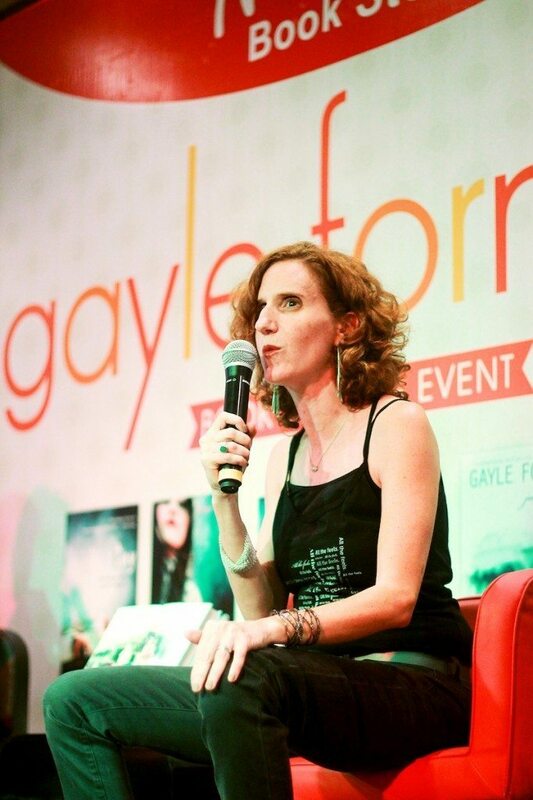 After an interview and another round of questions, Gayle was ready to sign books for the public. Asked Gayle to sign my book with my blog’s name and she did! 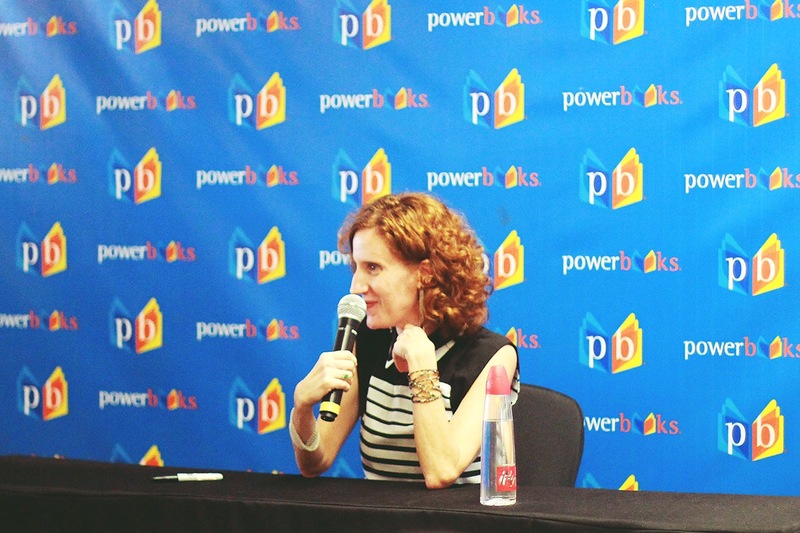 Gayle was soooo energetic while signing everyone’s books. (She was having a dance party while signing- how cute right?) She gave everyone tight hugs and made all of her fans feel special. 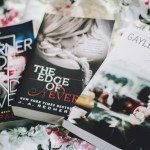 Gayle is such a wonderful author and it was such a memorable experience to have met her! To all the organizers, the bookworms and fans who came, to my fellow bloggers and my bookish friends- thank you for making the event an awesome one! Same here! *high five* Maybe next time you could come. Loveeee Gayle so much too! Didn’t expect her to be so adorable and funny! ALL THE FEELS!!! I seriously feel like crying right now. 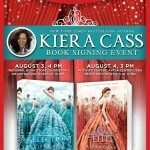 I hate that I was not able to go to the book signing event. 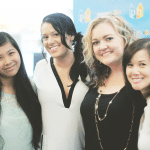 And there’s a blogger’s conference, too! It looked so much fun. Why? Why do I have to live 173683829283 lightyears away from Manila?? Why? *sorry for the ranty post.. Anyway, Gayle sounds like an extremely fun person. I wish I could have also met her. Yes, Gayle really was an awesome woman in person! Aww, don’t be sad, dear! Maybe Gayle will come back again! Keep those fingers crossed! WOAH. Are you one lucky girl!! 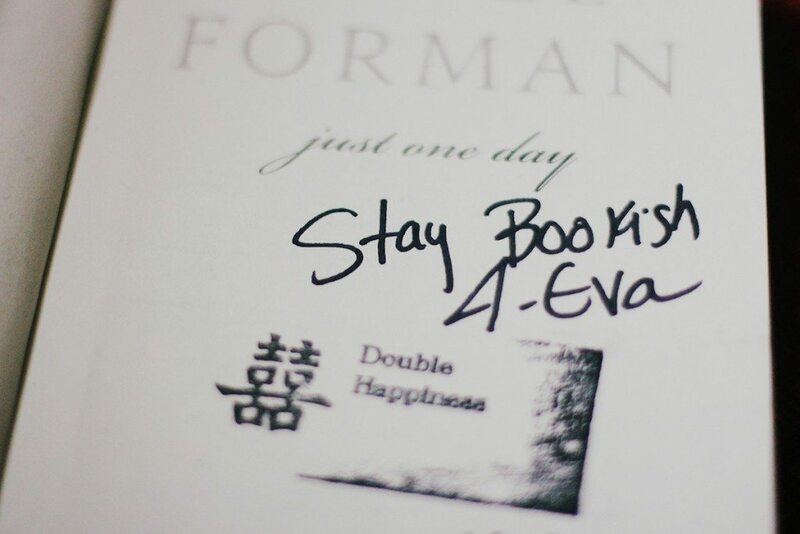 :D I’ve personally not read any of Miss Forman’s works (I should, right? ), but it sounds so awesome to get to meet her! :D It’s great to know that she has such a wonderful and quirky personality as well :) I’m glad you had fun!! It was so nice seeing you again! Thanks for my braid and for the cooler than cool pictures! Anyway, I forgot to ask Gayle to include my blog name in her autograph but it was still one of the funnest signings I’ve been to what with her karaoke fest and all. All the feels, indeed. You too, Kayla! <3 No problem at all! The karaoke fest was a blast, was it not? The event was just so awesome! This looks like it was so much fun! 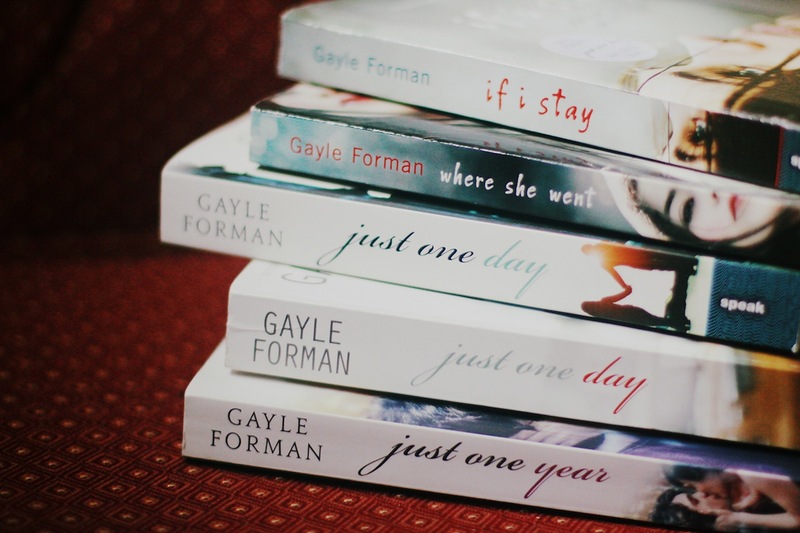 I’ve yet to meet Gayle Forman, but it will happen ONE DAY. Seriously though. She looks like such a fun person to meet. Also, her upcoming book sounds totally like something I’d love. Ahh. 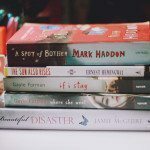 Just finished reading If I Stay and Where She Went. Both we’re amazing but where she went just took my breath away the entire time. Can someone please explain to me what All. The. Feels. Means?